Find Food Jobs.co.uk will focus predominantly on UK Food Manufacturing Jobs. The site will is managed by experienced recruitment professionals and adds automated services in order to offer the best user experience for its clients. The site will launch on 01/07/2017 and aims to fill a niche in the market to offer a food industry only range of jobs to experienced candidates. Sales & Marketing Director David Lewis has 10 years experience in the recruitment and advertising industries and comments: “There are a large number of experienced, top quality candidates who are currently looking for a new position in the Food Manufacturing Industry. We would like to become the number one choice for these candidates and aim to offer a solution where the very best candidates can apply for positions advertised by the leading food manufacturers and food industry recruitment consultancies. Essentially we aim to become an extra member of their resourcing team and we feel that by using the right mix of technology and targeted marketing we can attract the right calibre of candidates to the site. Working with a leading job board software provider the team at Find Food Jobs have developed a site that includes features such as; Candidate Messaging, CV Search, Application Tracking, CV Watch, Corporate Profiles, Online Application Forms, Online Application Management, Candidate Book marking and CV’s by email. 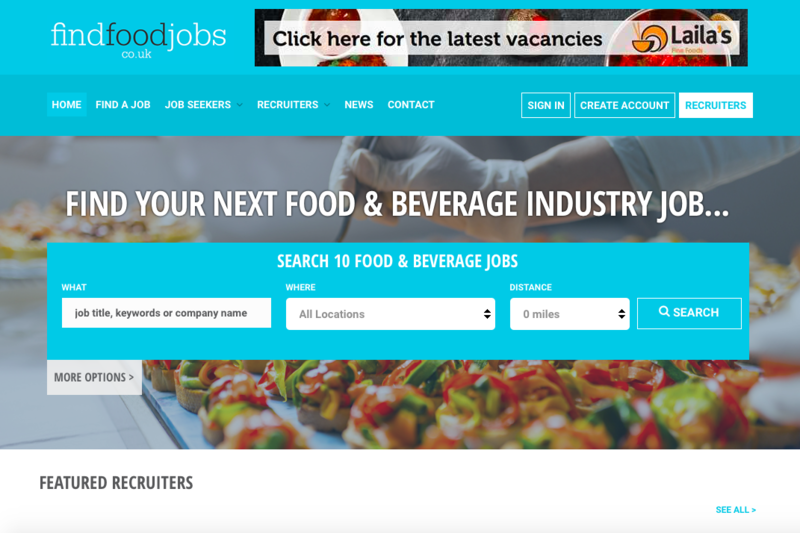 Find Food Jobs works with recruitment agencies, corporate clients and advertising agencies to provide the most comprehensive online resource for food and drink manufacturing jobs available.